Stores are already donning festive Halloween decorations to prepare for the spookiest holiday of the year! We thought it only appropriate to visit an old 'haunt', an amazing tombstone project from past designer Alexia Misso. 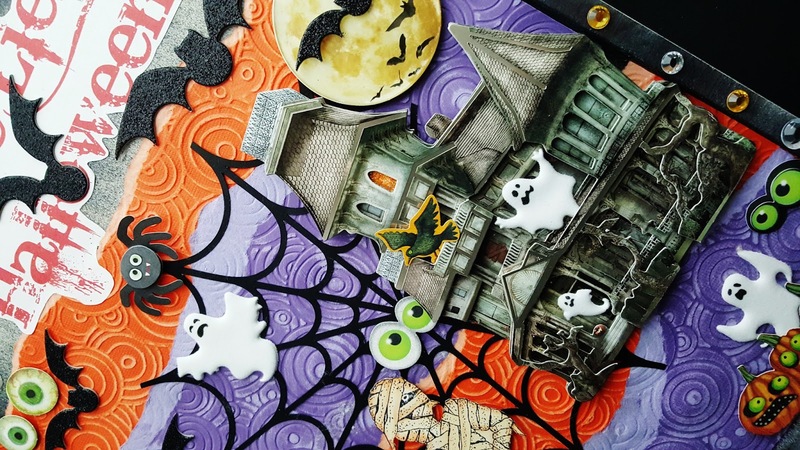 Take a look below for some spooktacular inspiration! Hi all crafty friends! 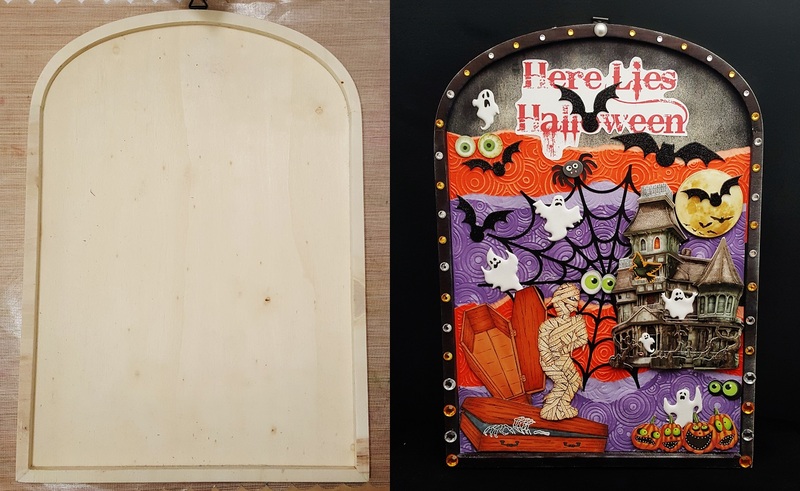 Halloween is only few weeks away so today I have this Halloween project to share with you! Yesterday I went to Michaels and spotted this wooden tombstone piece and had to get it! I turned the piece into this Halloween decoration for my porch! Here is the before and after picture for the project. 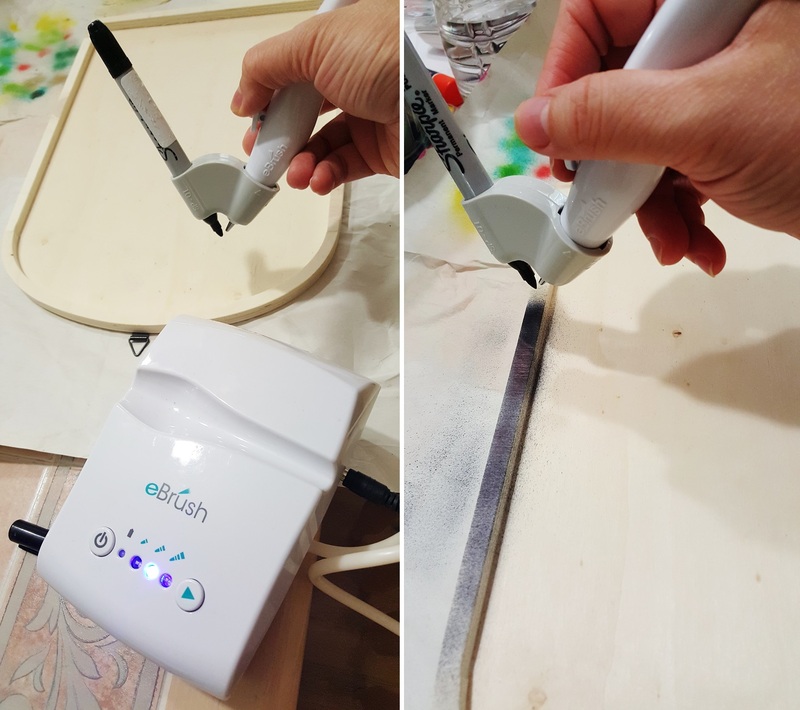 To create the background, I used Craftwell's eBrush with black Sharpie. Air brushed it all around the corners. 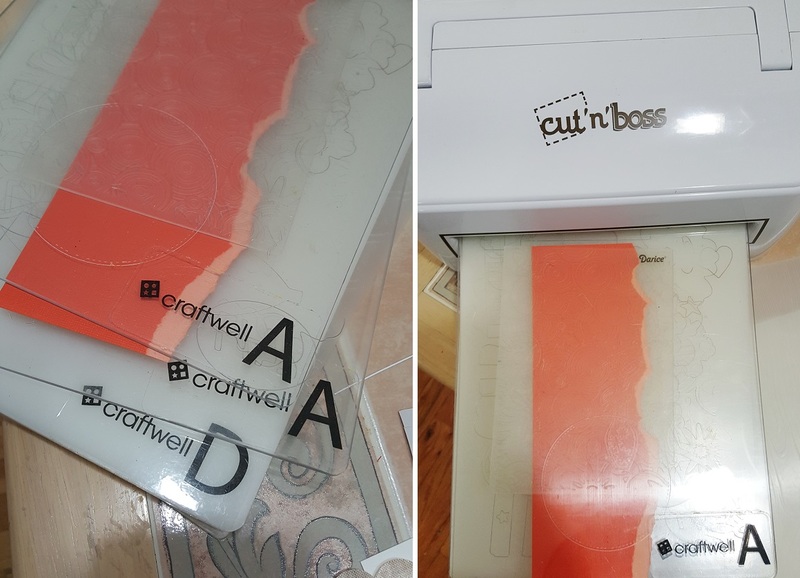 Then with the Cut 'n' Boss I embossed the purple and orange card stocks with Darice embossing folder. I ripped the card stock in strips and embossed it one by one. I arrange the embossed card stocks in alternate color (Purple and Orange) and adhere them to the wooden tombstone. After that I start decorating the piece with Halloween stamps and embellishments. That's it, and I absolutely love how the air-brushed effect on the background on top of title of the tombstone. The coffins and mummy are stamped images, colored with Spectrum alcohol markers.